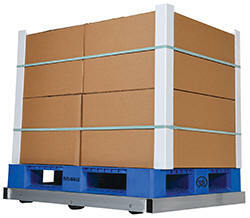 Designed to transport pallets with ease. All welded aluminum construction is durable yet lightweight. 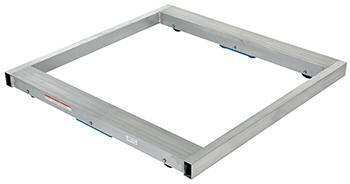 Features heavy-duty 3" wide x 3½" diameter phenolic rollers for easy portability. Choose from either tilt or non-tilt styles. Tilt style allows for easier turning than non-tilt style. 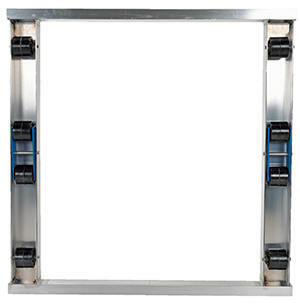 Optional loops/handle and a center support crossbar are available. Dolly height is 4-1/8". get the exact size you need! DOL Series Survey Sheet to help get the exact size you need!